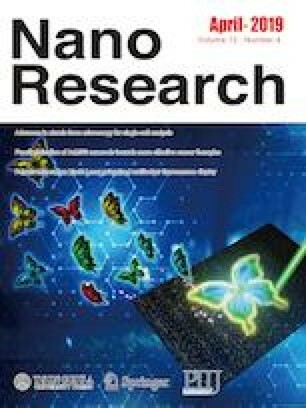 The surface chemistry of colloidal cesium lead bromide (CsPbBr3) nanocrystals is decisive in determining the stability and the final morphology of this class of materials, characterized by ionic structure and a high defect tolerance factor. 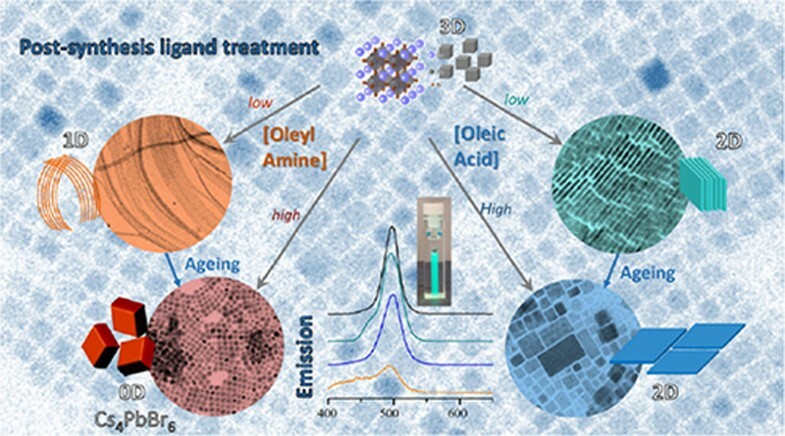 Here, the high sensitivity of purified colloidal nanocubes of CsPbBr3 to diverse environmental condition (solvent dilution, ageing, ligands post synthetic treatment) in ambient atmosphere is investigated by means of a comprehensive morphological (electron microscopy), structural (θ/2θ X-ray diffraction (XRD) and grazing incidence wide angle scattering (GIWAXS)), and spectroscopic chemical (1H nuclear magnetic resonance (NMR), nuclear Overhauser effect spectroscopy (NOESY), absorption and emission spectroscopy) characterization. The aging and solvent dilution contribute to modify the nanocrystal morphology, due to a modification of the ligand dynamic. Moreover, we establish the ability of aliphatic carboxylic acids and alkyl amines ligands to induce, even in a post preparative process at room temperature, structural, morphological and spectroscopic variations. Upon post synthesis alkyl amine addition, in particular of oleyl amine and octyl amine, the highly green emitting CsPbBr3 nanocubes effectively turn into one-dimensional (1D) thin tetragonal nanowires or lead halide deficient rhombohedral zero-dimensional (0D) Cs4PbBr6 structures with a complete loss of fluorescence. The addition of an alkyl carboxylic acid, as oleic and nonanoic acid, produces the transformation of nanocubes into still emitting orthorombic two-dimensional (2D) nanoplates. The acid/base equilibrium between the native and added ligands, the adsorbed/free ligands dynamic in solution and the ligand solubility in non-polar solvent contribute to render CsPbBr3 particularly sensitive to environmental and processing conditions and, therefore prone to undergo to structural, morphological and, hence spectroscopic, transformations. Supplementary material is available for this article at https://doi.org/10.1007/s12274-019-2371-2 and is accessible for authorized users. Elisabetta Fanizza and Francesca Cascella contributed equally to this work. This work was financially supported by the MIUR PRIN 2015 (No. 2015XBZ5YA). The support of the Project of Industrial Research PON Best4y ARS01_00519 and the project FIRB Futuro in Ricerca (No. RBFR122HFZ) are recognized. The authors thank PON SISTEMA (No. PONa3_00369) for feasibility of using UV-Vis-NIR Spectrophotometer. Rocco Lassandro is acknowledged for his technical support.